Now that 2018 is here, it’s time to look ahead at what the year may bring for the real estate market. Though there’s no way to predict exactly what will happen, housing experts and economic forecasters can make educated guesses based on data and historical trends. According to reports, here’s what to look for in the coming year if you’re planning to buy or sell a home. According to the annual report released by the Urban Land Institute and PricewaterhouseCoopers, the real estate market in 2018 will be fairly smooth. They predict that moderately priced, single-family residences will remain in demand and offer opportunities for developers and investors. Their experts believe that our low unemployment rate coupled with new economic policy could lead to slow but steady growth in the market. They also think that the homebuilding industry will see a breakthrough in technological advances, such as 3D printing and prefab homes. Zillow released their annual report, and according to their research, trends in 2018 will be dictated by an inventory shortage. There are 12 percent fewer homes on the market now than there were a year ago, which will drive prices up and make the market more competitive. Of the homes that are for sale, more than half of them are high-priced, which will lead to the construction of more starter homes. Most of the affordable properties that are built will be in the suburbs, so there will likely be an uptick of first-time homebuyers and Millennials moving to the outskirts of urban areas. Of the new homes that are built, many will feature designs that are suitable for both young families and those nearing retirement. We’ll see more extra-wide hallways for strollers or wheelchairs, and frameworks that will allow for additions down the road. In addition, Zillow predicts that home prices will grow just over four percent. Realtor.com’s National Housing Forecast for 2018 predicts that although the year could see gains in inventory and sales prices, tax reform could have a big impact. Their research suggests that by fall, year-over-year inventory growth will be positive, though mostly felt in mid- and upper-tier homes. Inventory for starter homes will likely remain stagnant due to high demand. Their forecasts show a slowing in the appreciation of home prices, with growth at just over three percent. Millennials will gain a larger share of the market and will become more of a driving force. Cities in the south will likely see the most growth in home sales, with Tulsa, Little Rock, Dallas and Charlotte taking the top spots. However, tax reform legislation is the wild card, and could slow any growth due to decreased incentives and tax benefits for homeowners. If you’d like more information about buying or selling a home in the New Year, please don’t hesitate to contact us. 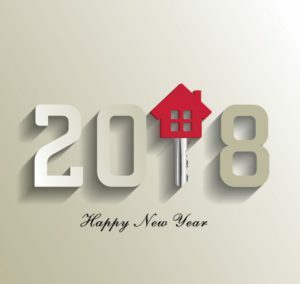 We look forward to helping you navigate the 2018 real estate market, no matter what it has in store.